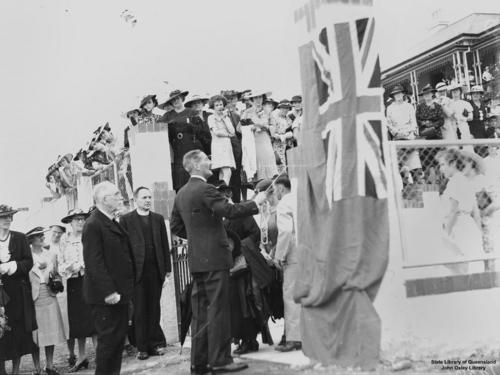 In 1937, Queensland governor Sir Leslie Wilson officially opened the Queen Alexandra Home for Children at Coorparoo. He is pictured here unveiling the memorial plaque at the front entrance to the Home. The building was first constructed in 1886 as a residence for Reuben Nicklin, the Brisbane manager of Butler Bros, a saddlery firm. It was called "Hatherton", designed by John Hall and Sons and built by Abraham James. In 1890, Nicklin and his wife were on their way to England on the ship RMS Quetta, which ran aground near Thursday Island off the coast of North Queensland. The Nicklins, grandparents of later State Premier Sir Frank Nicklin, perished in this disaster. Hatherton remained in the Nicklin family until 1911, when it was acquired by the Methodist church. 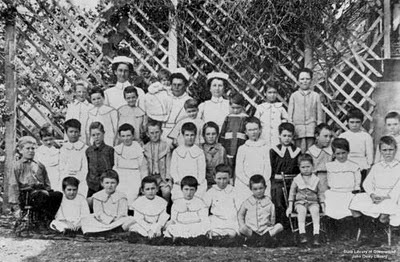 Staff and children were transferred from the former facility at Indooroopilly to Coorparoo in December 1911. Below is a photograph of Matron and her charges from 1913, followed by an early picture of the building. A new wing was added to the Home in 1919, and in WWII it was used as an education venue for pupils from Somerville House. 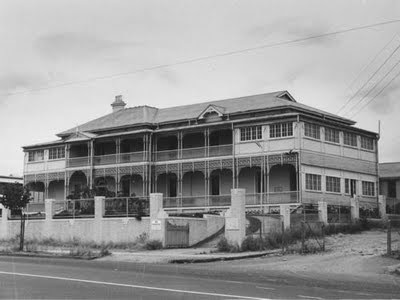 The children's home facility was terminated in 1960, and the building was acquired by the state government. It was then known as Alexandra House, and was a domestic science facility. Later, the building became known as the College of Catering and Hospitality Services, and after that COTAH (College of Tourism and Hospitality). Here is the building today. It is now a community centre, although there is a conspicuous lack of information at the location itself. It looks to be in good nick though. Apart from the aerial it's almost identical! I went to Coorparoo Infants and Coorparoo State School until grade 5. We used to have dance lessons under the building, slightly spooky, at that age, with the pillars and cupboards under there. On the way home from school my sisters and I would stop in at the College of Catering, as I see it was called, and would buy a lovely loaf of hot bread that the college students had made. 10c a loaf or 5c for half a loaf. Needless to say it was only the outside crust that ever made it home. So delicious! When we crossed over the crossing to go to school in the morning we would have to say "Good morning Sir," to the uniformed policeman. There was a little corner shop down 'Gracie's Lane', which was the back entrance to the upper school, where we would often stop for lollies etc. A couple of doors down was a fish and chip shop, with Chinese owners. How I used to envy their little pre-school boy, you could see him from over the counter, lying on the sofa bed watching tv and eating hot chips. lol. So many fun memories of lunch hours spent in Woolff Park, named after Mr. Colin Woolff. The Department of Ed. had bought the house and land from him in 1929, demolished the house and were able to use the land when they needed more playground space. Very interesting read on the website, 'Coorparoo State School History'.